We finally found a boom pole that easily fits in a shipping box! 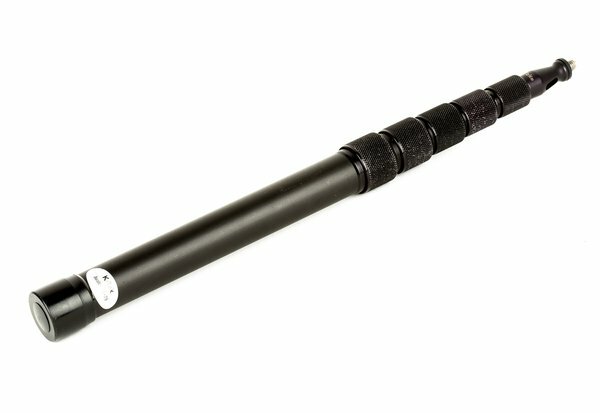 The K-Tek KE-79 is an aluminum boom pole that extends to 6 feet 7 inches, but collapses to just 22 inches. It’s great for use with one of our shotgun mics.